From Art Deco to modern art, waterfalls to waterfront views, sophisticated Tulsa is full of surprises. Natural Falls State Park is home to Oklahoma's tallest waterfall. 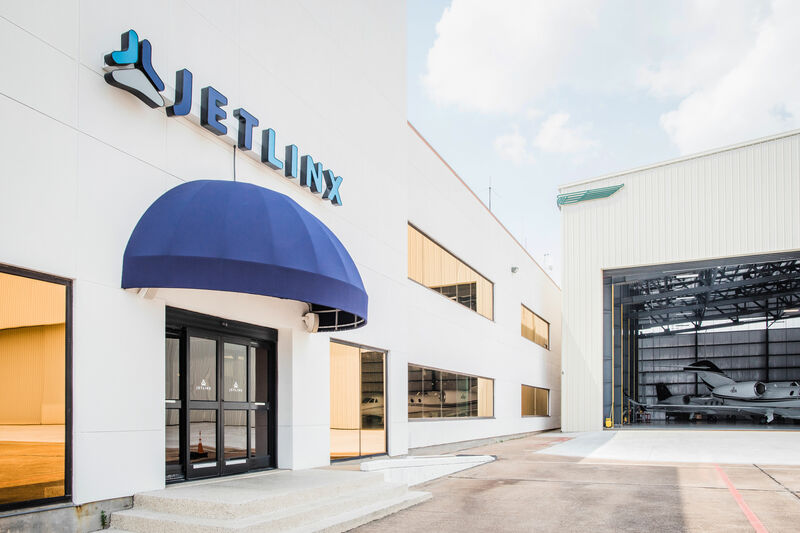 What to do: If you think Houston's vibrant arts scene is often unjustly overlooked, baby, how do you think Tulsa feels? A thriving center of culture in an area that's a fascinating confluence of Midwestern, Southern and Southwestern sensibilities, Tulsa is home to some of the greatest museums in the US in addition to a corps of permanent companies: the Tulsa Ballet, the Tulsa Opera, the Tulsa Symphony Orchestra. And these aren't young upstarts, either. Theatre Tulsa is the oldest community theatre company west of the Mississippi, while Tulsa Spotlight Theatre has been prodicing the longest-running play in America, The Drunkard, every Saturday night for the last 63 years. 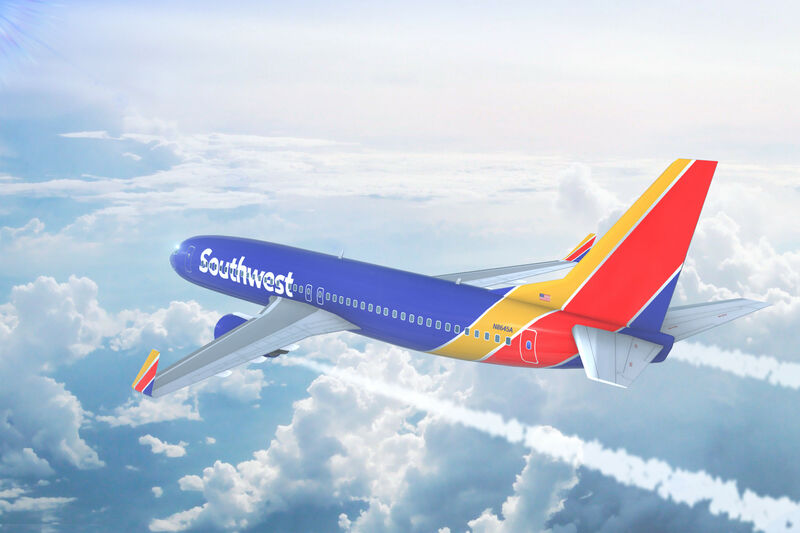 Let's repeat: every Saturday night for the last 63 years. 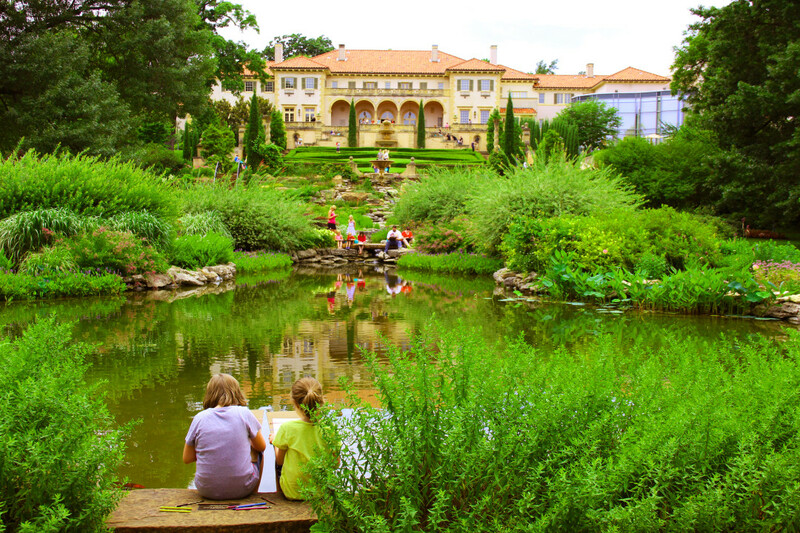 The Philbrook Museum is considered one of the 50 greatest fine arts museums in the world. Tulsa Spotlight Theatre is also an excellent example of the Art Deco architecture that's a staple of this Oklahoma city, a must-visit for fans of the era. Unlike Houston, Tulsa has preserved the 100-year-old buildings, homes and churches constructed during the oil boom of the 1920s that gave Tulsa its nickname: The Oil Capital of the World. (And gives us pause to wonder why Houston and Tulsa were never rivals outside of college football.) 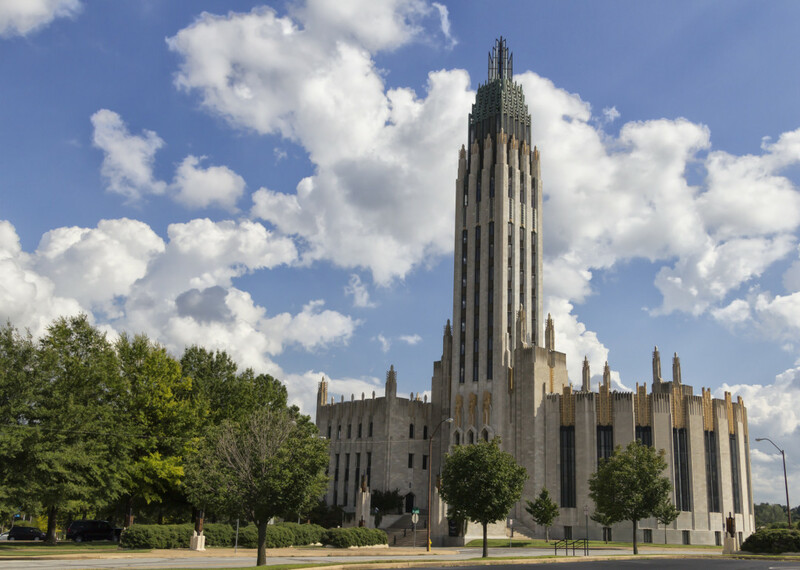 Tours of Tulsa's Art Deco Tour provides a two- to four-hour long guided trek around the city, spotlighting such striking edifices as the Boston Avenue Methodist Church, created by famous designer Adah Robinson, and the Tulsa Union Depot that now houses the Oklahoma Jazz Hall Of Fame. Museum-goers will also want to carve out time for the Philbrook Museum of Art, the manicured grounds of which provide at least a small insight into why Time named Tulsa "America's most beautiful city" in 1950. First opened in 1939, the museum contains 23 acres of beautifully sculpted gardens and houses 8,500 works of art that span history and the globe, from Native American artifacts to Italian renaissance paintings to Chinese ceramics. Modern art fans should visit the Philbrook's downtown campus in the Brady Arts District, which contains works from Warhol to Willem de Kooning, Rauschenberg to O'Keeffe. The Art Deco-era Boston Avenue Methodist Church is on the National Register of Historic Places. 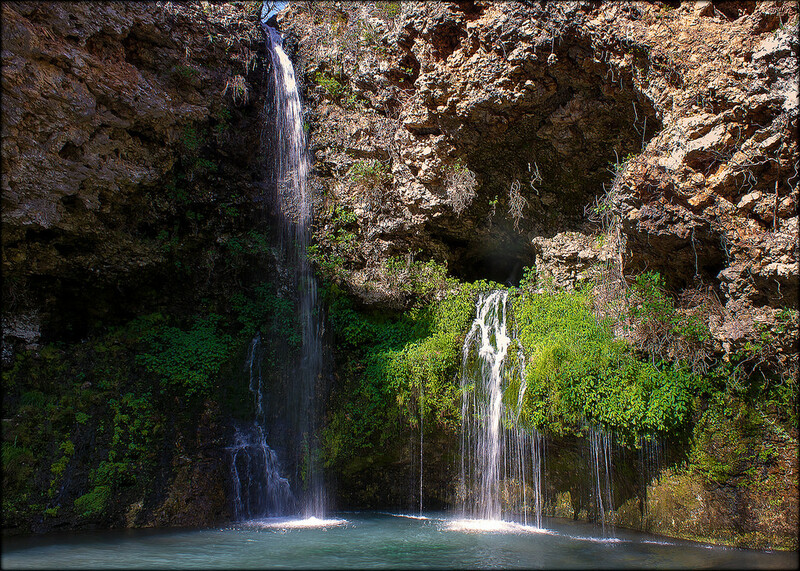 Outdoors-y types should make a short drive east to Natural Falls State Park, home to Dripping Springs Falls; at 77 feet, it's the tallest waterfall in the state. Wait—waterfalls in Oklahoma? In the Green Country region of northeastern Oklahoma, yes. Here, in the foothills of the Ozark Mountains, you'll find dozens of natural lakes and verdant, rolling landscapes ideally suited for hiking, backpacking and camping. Film buffs may also note that Natural Falls State Park was the setting for Where the Red Fern Grows, though the park itself offers a much sunnier experience than the heartbreaking movie. Back in town, the sprawling Chandler Park offers 192 acres of rock formations begging to be climbed and a postcard view of the Tulsa skyline. 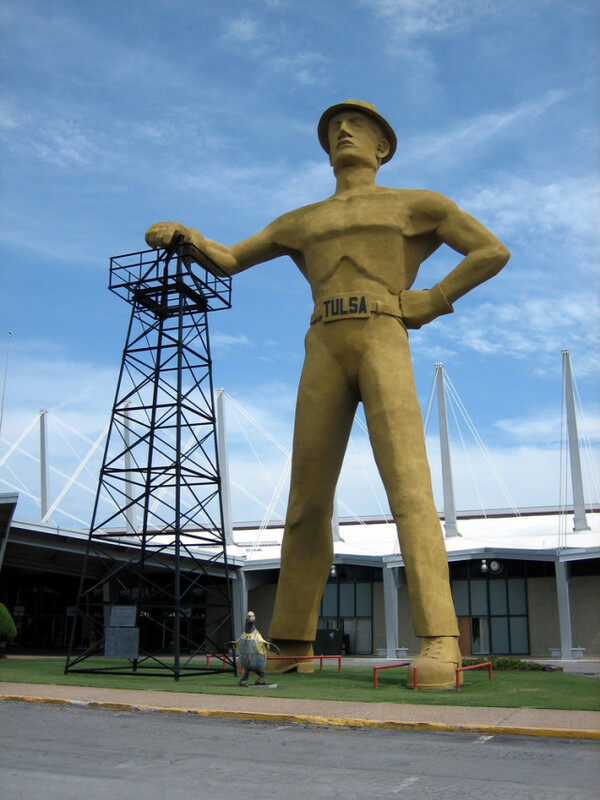 At 76 feet tall, the famous Golden Driller in Tulsa is the fifth-largest statue in the US. What to eat: In the Raw on the Hill offers two more experiences one might not expect to have in Tulsa: terrific sushi and stunning views. The Japanese restaurant in Woodland Hills is the second best place in town to catch a sunset over the city, outgunned only by The Summit. 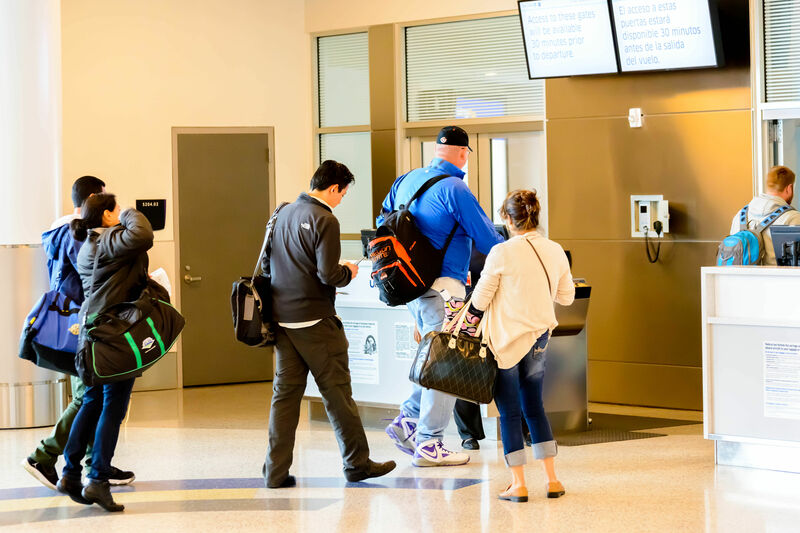 This classic destination, first opened in 1967, occupies the 30th, 31st and 32nd floors of the Bank of America Center downtown and offers panoramic views of Tulsa and the Arkansas River that winds its way through the city. In the penthouse level of The Summit, you'll find amenities that serve as not-so-subtle reminders of Tulsa's oil-based economy: a fireplace, a cigar lounge with private humidors and a pool table, and a $370-per-ounce caviar service that pairs well with a delicate dover sole. For a less formal experience, head to the White River Fish Market, which has been selling and cooking every kind of seafood it can haul in since 1932. If you've never had deep-fried rainbow trout or deep-fried orange roughy, there's no time like the present. And for what many consider the best burger in Tulsa, visit the oh-so-tiny, deliciously divey Bill's Jumbo Burgers. Order the $16 Double Okie burger and perhaps consider taking a long nap at the hotel when you're done.